People power can still trump the power of big money. This book will tell you how to organize that power. Great book, recently updated. Clear, detailed and practical guide to the many dimensions of community organizing, from planning to volunteer recruitment, fundraising, actions and much more. My students liked the book, and those with activist ambitions kept it. Thanks to The Forum Press for publishing and promoting this valuable tool for grassroots democracy! In the hands of young organizers, this book has helped to build strategic campaigns, provide best practices and develop the next generation of leaders. 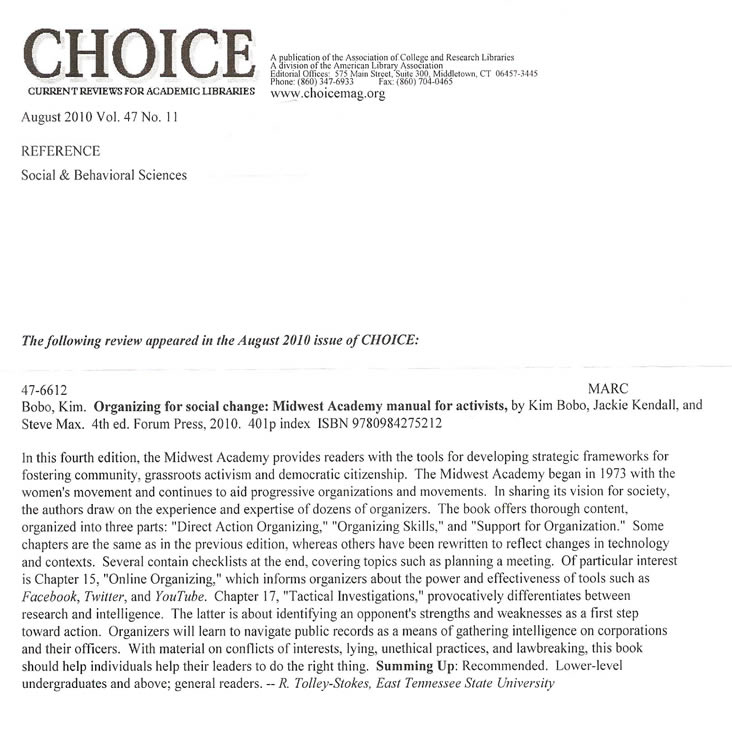 Organizing for Social Change 4th Edition is required reading for anyone who thinks regular folks (not politicians, officials, or other self-anointed saviors) must be the engine for social change. From strategy development to research impementation, this book shows you how to do it!